As CES 2018 has ended, we’re now looking forward to all the upcoming technology that the new year has to bring us. 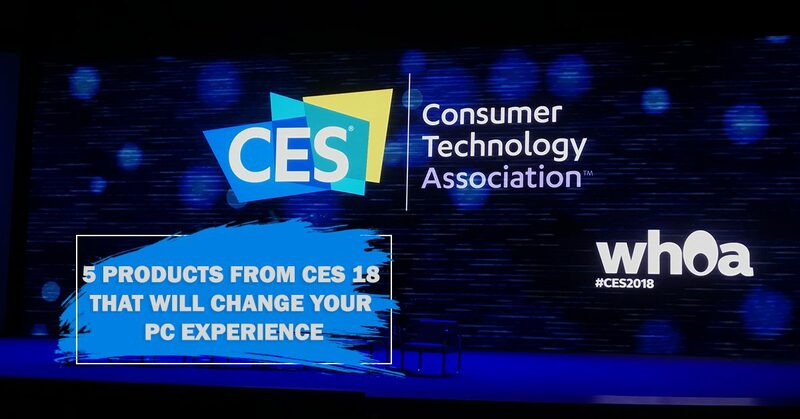 For those unfamiliar with CES, it’s the world’s gathering place for those in the business of consumer technologies, making it one of the largest technology conferences to be held. It’s here that top manufacturers unveil their new upcoming releases for 2018. 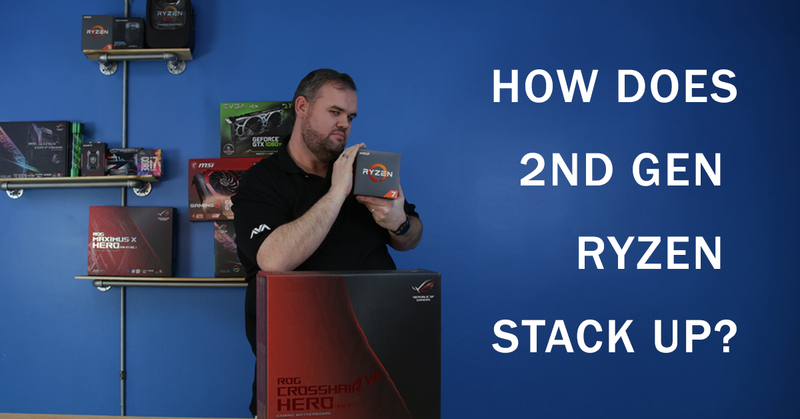 Here are some of our favorite components and accessories that will change your PC experience in 2018! Famed component and casemaker NZXT has stepped up to the plate by debuting their very first motherboard. 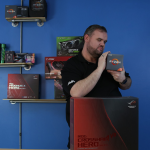 We’re excited to see a new motherboard manufacturer enter the arena and anticipate their future releases! The NZXT N7 Z370 was designed around Intel’s Z370 chipset and built to deliver both performance and aesthetics. Integrated RGB channels and an all-metal motherboard cover available in black or white, along with heatsinks available in red, blue or purple, give you the ability to coordinate the colors of your build. 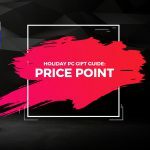 However, the lack of USB 3.1 Gen 2 ports, Bluetooth capabilities and a built-in wifi adapter, especially at its premium price point, is something to consider as other motherboards in this price range typically have these options. Some might find the slightly reduced feature set worth it for a unique looking motherboard that will set your build apart from the crowd. What do you guys think about NZXT’s debut motherboard and what changes would you like to see in their next attempt? While we have to wait until 2019 for Zen 2 architecture to makes its debut, AMD does plan on releasing a few new APUs this February that allow you to forgo a graphics card. These APUs will be perfect for those that don’t need heavy graphics performance or that want to save a couple hundred or even allocate their GPU budget to other components in their build. Following the release of these APUs, AMD will also have a new generation of Ryzen that’s being released based on the Zen+, along with new X400-series motherboards. These CPUs will use 12nm manufacturing compared to the original 14nm, with the existing Ryzen motherboards supporting the new chips after a BIOs update. Okay, the rumors have been around since November that Intel and Radeon had teamed up to design CPUs developed specifically with Vega, and this year, at CES, Intel finally revealed two new 8th gen processors with Radeon RX Vega M graphics. 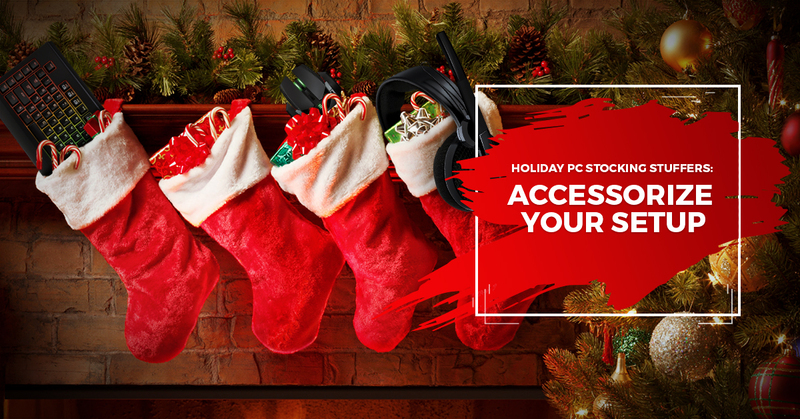 Created with gamers and content creators in mind, these processors eliminate the need for a separate graphics card and perform similarly to a build featuring a NVIDIA Geforce 1060. This is great news for those limited on space, providing slim laptops and mini pcs with the graphics performance of full-sized gaming towers. Wireless mice have been around for a while, but Razer has now developed a battery-less mouse that charges directly on the Hyperflux mousepad! While the mousepad itself will need to be plugged into a computer, this allows the new Mamba Hyperflux mouse to be the lightest mouse developed, sans the weight of a battery. The Hyperflux mousepad and mouse also feature RGB elements, with the mousepad boasting a ring of customizable lights and the mouse itself with lights on the scroll wheel, logo and a small slit on the back. One of the biggest reveals related to VR at CES this year was HTC’s new Vive Pro headset. The Vive Pro release comes with tons of improvements over the original headset in order to provide an incredible VR experience that other headsets can’t even compare to. Integrated audio, an extra camera and redesigned face cushions were all added to help eliminate light and outside sounds for complete immersion. With the help of Intel’s WiGig technology, Vive was also able to create a wireless adapter for the headset, allowing for easy mobility without having to worry about getting tangled in a mess of cords. The largest improvement however, would be the increase in screen resolution for the panels included inside the headset. Both panels now provide a resolution of 2880 x 1660, an overall 78% improvement from the original. The Vive Pro will be a must-have for VR enthusiasts everywhere. 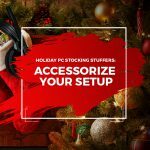 We’re only 2 weeks in to 2018 and the year already looks bright for PC enthusiasts! A new motherboard manufacturer has entered the market and integrated graphics have made a huge leap in performance. Thanks to Intel and Radeon teaming up, AMD’s released of APUs will provide a great option for those looking for a home PC on a budget and the newly redesigned Vive Pro will bring VR to the next level. 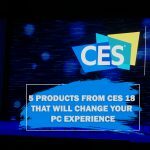 What CES reveal are you hoping to get your hands on? What specific products would you like to see featured in our upcoming builds?